You are here: Home / Academic/Researcher Achievement / UTM Town Planning Expert: Environmentally Sustainable Cities? Get the Basics Right! Kuala Lumpur, 29 July – UTM Faculty of Built Environment and Surveying (FBES) Senior Lecturer, TPr. 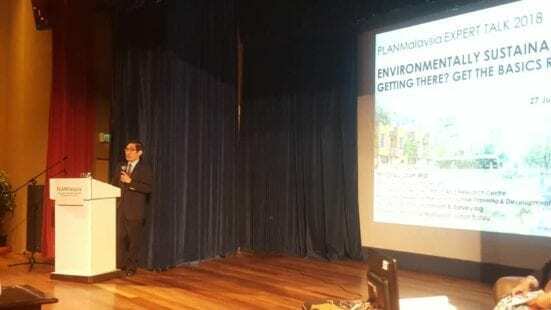 Chau Loon Wai, stressed to a 188-strong audience of town planning professionals the importance of getting the basics right if we were to make real progress in building environmentally sustainable cities in Malaysia. 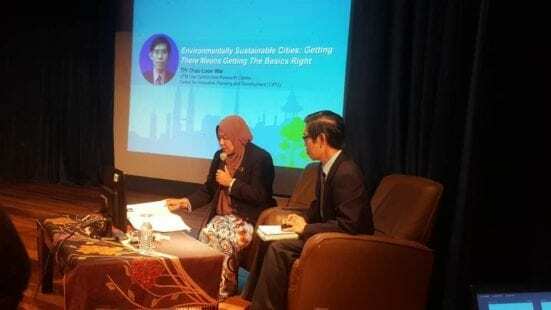 The well received point was made at the PLANMalaysia Expert Talk 2018, themed “Environmentally Sustainable Cities”, which was held on 27 July 2018 at Wisma Tun Sambanthan, Kuala Lumpur. TPr. Chau appeared as an invited speaker representing the town planning academia alongside three other practising town planners in the expert talk, which was part of a series organised by PLANMalaysia (previously known as the Federal Town and Country Planning Department, JPBDSM), the highest authority overseeing the town and country planning activities in Malaysia. In his 30-minute sharing entitled “Environmentally Sustainable Cities? Getting there means getting the basics right!”, TPr. Chau got the audience to take a hard look at the actual current state of (un)sustainability of Malaysian cities despite countless well-intent efforts spanning at least two-and-half decades by town planners. He then asserted that environmental sustainability is not only about having the right intention and proposing big concepts but is importantly about getting back to the basics, of dealing with issues in real places involving real people. He stressed the need to go beyond “sustainababble” and begin implementing small, direct actions in places that would yield real positive impacts on people’s quality of life, for example of delivering urban environments that are friendly to children, the elderly, women and people with disability (PWD). The talk was concluded with the highlighting of the importance of urban design in advancing environmental sustainability; of integrating planning and design across the national, state and local levels; as well as of involving in a deep way the people for and with whom we plan. As Co-Director of the UTM-Low Carbon Asia Research Centre (UTM-LCARC) and Associate Research Fellow of the Centre for Innovative Planning and Development (CIPD), Faculty of Built Environment and Surveying, TPr. 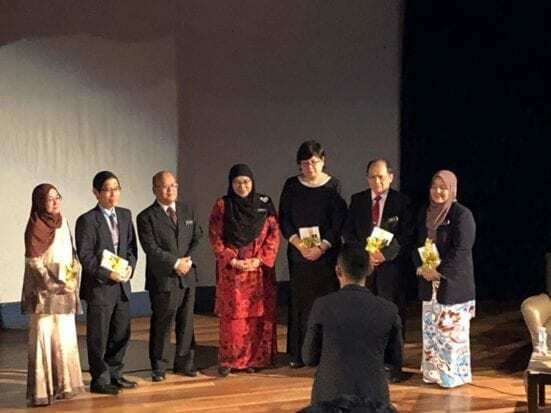 Chau also took the opportunity to briefly share with the audience major accomplished and on-going research works of the centres and stated UTM’s commitment to continuously collaborating with PLANMalaysia and the Malaysian planning profession towards contributing to better urban and regional planning.